Giovanni Soldini’s Maserati Multi 70 and Peter Cunningham’s MOD 70 PowerPlay have been swapping the multihull lead right from the start. On the first day, the duo headed northwest, tacking southwest in unison, 73 miles above the rhumb line. A night-time game of cat and mouse ensued, with both teams electing to leave the island of La Palma to port, presumably to avoid the wind shadow from its 2,000m peak. At 1000 UTC on Day 2, both trimarans were heading southwest, upwind at over 13 knots of boat speed. The race was on to escape the expanding area of high pressure and reach the fresh breeze. 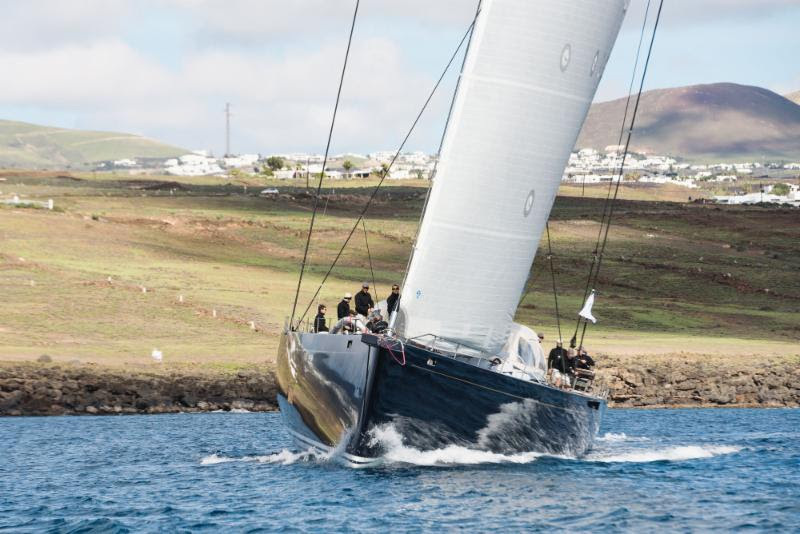 In the Class40 Division, Catherine Pourre’s Eärendil and Henrik Bergesen’s Hydra were battling for the lead. 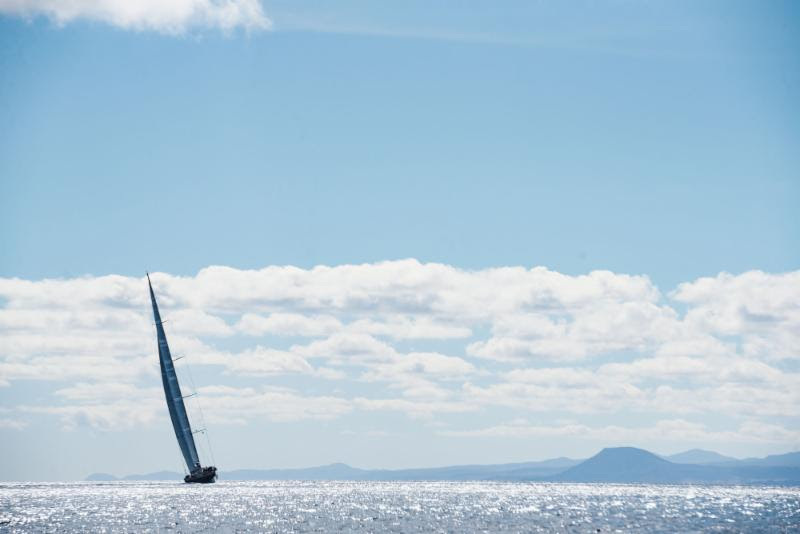 After racing northwest during the first day, Eärendil was the first to tack in the early hours of this morning and has taken the class lead. 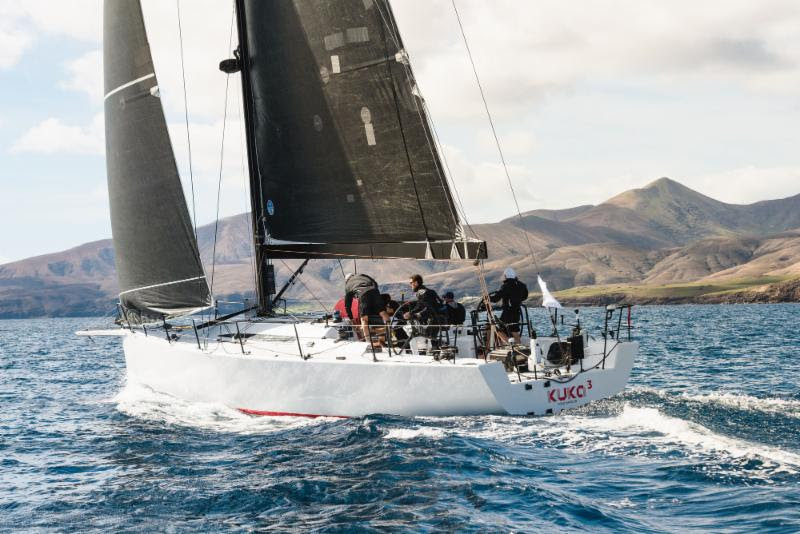 Trevor Middleton’s British Sunfast 3600 Black Sheep is the most northerly of the fleet and looks to be in good pressure and is well placed in the IRC fleet.